There will be books for sale, crafts, fun and cake! Kids can make a small birdfeeder so they can feed the chickadees along with Ruby and Abigail. Rumor has it that Bob Van Doodle might stop by …. Directions: From I-84 East: Take Exit 66, Turn left of the exit, Turn left on to Bolton Road, Continue straight through the intersection to Center Road, Arts Center East is located on your right. From I-84 West: Take Exit 66, Turn right off the exit onto State Route 542, Turn left on to Bolton Road, Continue straight through the intersection to Center Road, Arts Center East is located on your right. Parking is located behind the building. Additional parking is available at the Congregational Church across the street and at Center Road School. Every day I write and every day I try to make that writing come from a place of gratitude. Especially times like this when I can’t express my gratitude enough. Over the last few months, I have had the great honor of being part of Brenda Drake’s amazing PitchWars Community. I can’t begin to thank Brenda as well as my amazing mentors Laura Shovan and Tricia Clasen enough for this opportunity. Writing comes from a solitary place — emotion, deep inside the writer’s heart, translated into the written word, poured onto the page. And as an isolated exercise, it can be hard to be brave because it is so much easier to stay silent than risk exposing your heart. 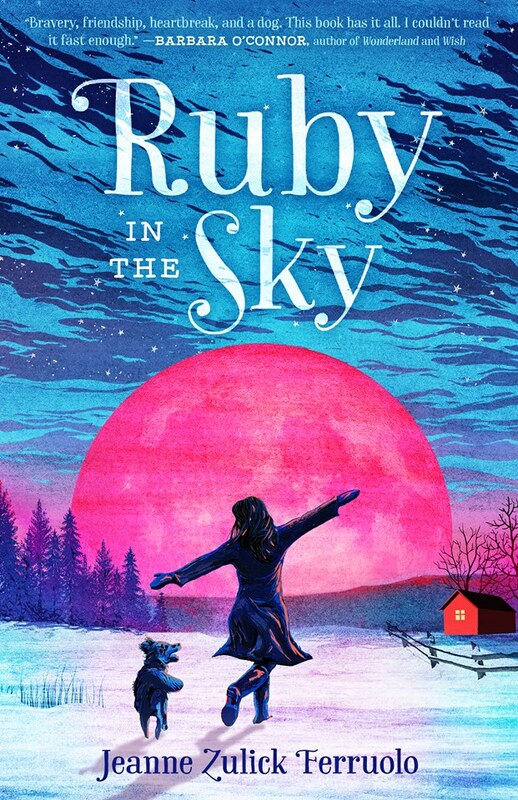 Ruby’s story comes from such a place. A child unable to speak until she discovers the power of her own voice. As a public defender I have met many kids like Ruby, coming to court with parents who face incarceration. Whether they know it or not, their bravery inspires me. As a writer, it was my intent to turn this emotion into the written page. PitchWars helped me do just that. Throughout PitchWars, Laura and Tricia were always there, always offering their talents and advice. Their words: VOICE YIELDS TRUTH beat inside my every revision. More than once, they talked me down from the ledge of self-doubt and insecurity. It is mind-boggling how much time and energy they spent on my manuscript when they had their own deadlines and book launches and families. I am forever in their debt. Recently, after reading my PitchWars-revised RUBY, my daughter wrote me the most beautiful letter. She spoke about Ruby’s bravery and how she wants to use her own strong voice to help others. After I read this letter, I realized that no matter what happens, Laura and Tricia helped me tell Ruby’s story better, clearer and stronger. I am grateful that it made my daughter a little braver. I hope someday it can help other kids realize how brave they already are, too. At this time of year when, more than ever, we express our gratitude. I need to express mine to Laura and Tricia and Brenda. Thank you for helping me tell Ruby’s story. Thank you for sharing your own strong voices and incredible talents. Thank you for making me braver. 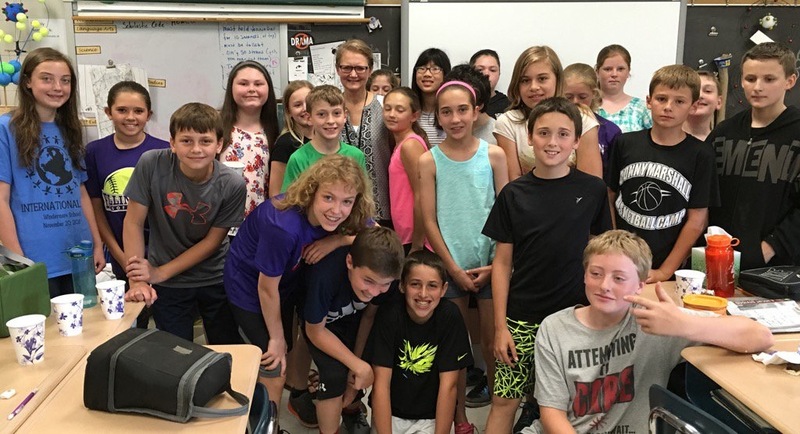 Last month I had the privilege of visiting with Mrs. Kathryn Fitzgerald’s Sixth Grade class at Windermere Intermediate School to discuss my novel, Ruby in the Sky. Mrs. Fitzgerald had just finished reading the novel to the class as the spring read-aloud so it was a fantastic opportunity to hear their thoughts and recommendations. The students asked excellent questions. We discussed the writing and revising process and I showed them some of the hands-on tools I used to revise. 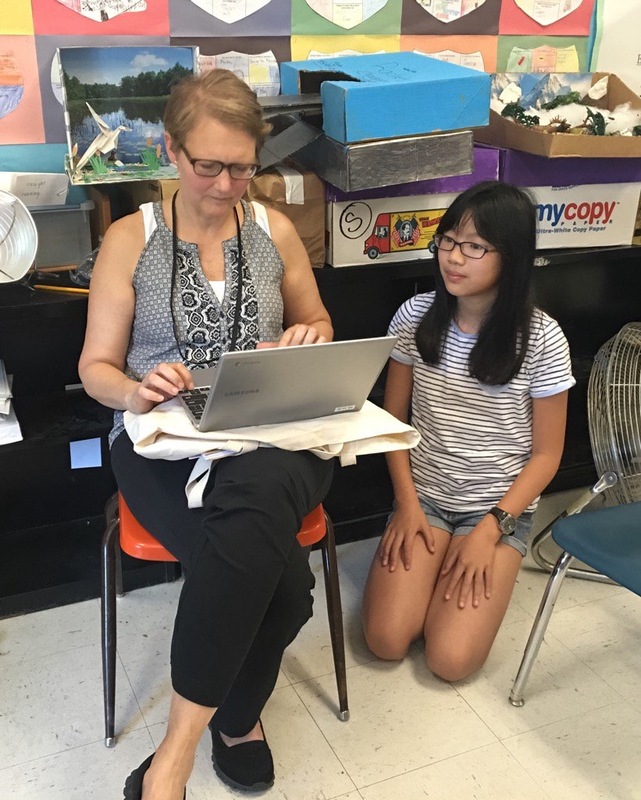 They also provided me with excellent suggestions on those small details that make for an authentic sixth-grade voice — after all, they are the experts! It was such an incredible experience for me to have my target audience provide such insightful feedback! I even got a chance to read some of their work! Thank you, again to Mrs. Fitzgerald and the entire class. I am so lucky to have had this amazing opportunity! 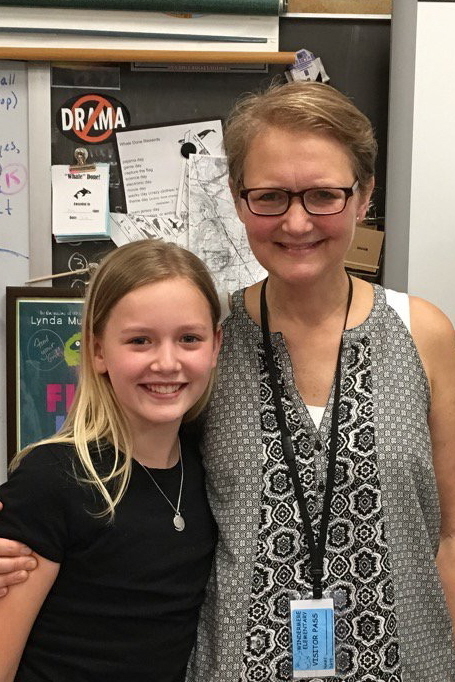 Me with my Google Slides Expert, Sophia.